Startups face a lot of challenges. Marketing is one among them. Not just startups but businesses in today’s era face some serious marketing challenges. Digital marketing and social media have changed the way how startups reach their target audience. 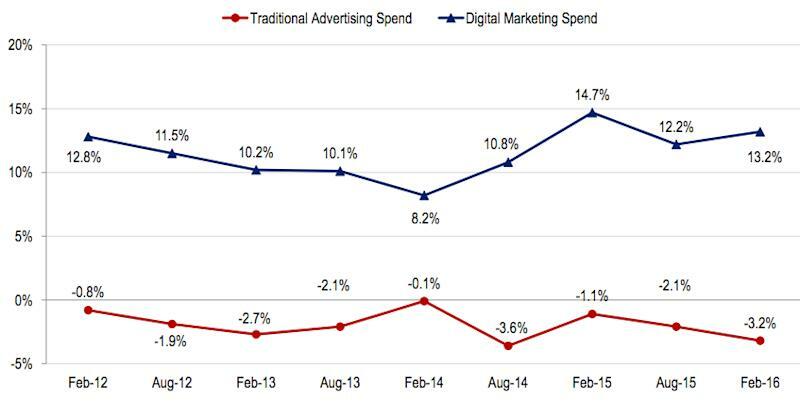 A CMO survey revealed that there has been a significant increase in digital marketing spend as compared to traditional advertising spend since 2012. As a startup owner or a startup marketer, you’ve to deal with several marketing challenges that your established competitors don’t have to. Here are three biggest startup marketing challenges and how you can fix them based on advice from CEOs. 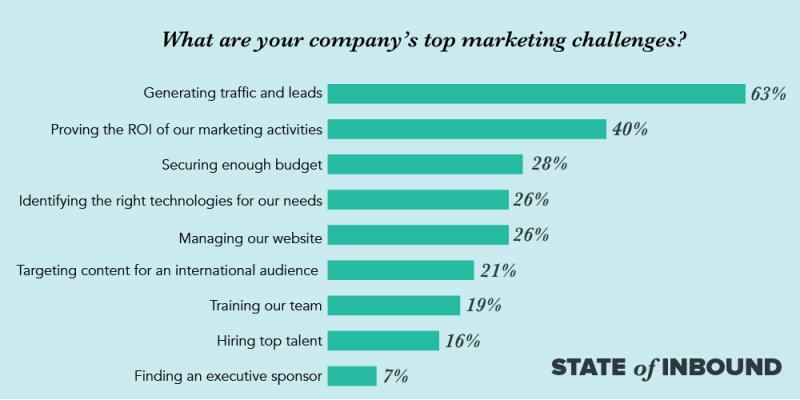 According to HubSpot’s State of Inbound, generating traffic and leads is the biggest marketing challenge businesses face today. You cannot do much if your landing page doesn’t get enough traffic. Things get tough when your competitors spend lavishly on traffic generation and leads, and you cannot compete due to a limited marketing budget. Content marketing can get the job done. You’ve to go a step ahead and must contribute on high authority sites as guest blogging has proved to be one of the best marketing techniques. If I tell you that artificial intelligence is dead, you won’t trust me. But if Elon Musk or Stephen Hawkings say it, you’d trust them without a second thought. This is what exactly you’ve to do to drive traffic and generate leads for your startup – use someone else’s authority and trust. Post high-quality content on authority websites and blogs that your target audience visits. Guest post, contribute and join relevant communities to talk about your startup. This is more powerful than publishing the same content on your own website. Guest posting and contributing on leading authority sites might not work for your startup. Because this is what your competitors are already doing – most of them. You’ll realize it. So even if you’re contributing on leading blogs religiously, no one will give a damn, as said by Tommy Burns. You’ll generate traffic and leads but leads are useless if they don’t convert. Statistics show that 49 per cent of consumers rely on influencer recommendations. If nothing else works, influencer marketing will. 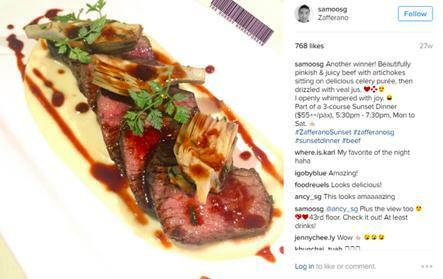 Zafferano, a Singapore-based restaurant, invited 11 influencers on a special meal in their restaurant. Influencers enjoyed Italian cuisine and shared photos with their followers. This campaign reached 65K people and these posts generated 8500 likes and 280 comments. If your startup is not getting the exposure it deserves, seek help from a few influencers and let them promote your startup. Marketing isn’t cheap and startups don’t have the funds. Less than 1 per cent of all the startups are funded by venture companies. If your startup isn’t funded, you’ll find yourself in deep trouble. When your tiny startup is competing a couple large brands, you’ll realize that you don’t have the necessary budget to compete at any level. For instance, a brand paid $300K to an influencer for a few photographs. How do you compete at this level? Don’t copy your competitor’s marketing strategy. If your top competitor is spending $50K on AdWords a month, you don’t have to do it. Choose your own marketing channels (carefully) and stick to them. Stay focused. Stick to your marketing plan. Use free marketing tools whenever possible. Reinvest a certain portion of revenue on marketing. Choose a few marketing channels that work best for your startup. For instance, you can choose influencer marketing and social media marketing. Set objectives and stick to these marketing channels no matter what your competitors do. You’ll see results sooner or later. Remember, marketing isn’t about spending thousands of dollars to generate sales. It is all about using a limited budget to generate sales. The post Experts give advice on overcoming 3 top startup marketing challenges appeared first on e27.